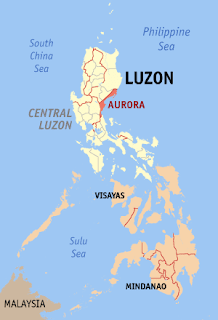 Certainly, Aurora province is rich in natural resources. So rich, you'll never run out of things to explore. So, for my 3rd and supposedly last day in Baler, I was brought by my friends to Ditumabo falls, locally referred to as the Mother falls. Located in Brgy. Ditumabo in the town of San Luis, Ditumabo Falls one of the major attractions of the province. According to some locals, it's the biggest waterfalls in the province so it gets the name mother falls. 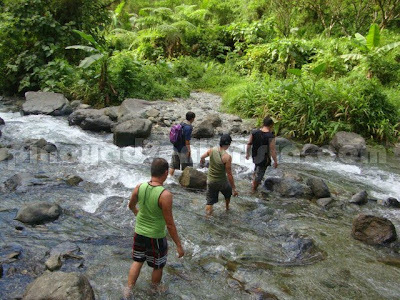 Going to Dimutabo Falls is easy. From Baler, hire a tricycle to Brgy. Ditumabo and alight at the national road. Another option is to drive a motorcycle which could navigate from the national road all the way to the hydroelectric power plant. It will cut the trekking time to almost half, otherwise if you'll be on public transportation, the trek starts from the national road. Total trekking time is about an hour. Upon reaching the power plant, we left the motorcycles on the parking space and prepared to cook our lunch. While waiting, we had some booze at one the cottages by the riverside. This is also the first time I've tasted Baler's ensaladang pako which complements with every shot of Emperador that we had. Hahaha! Ditumabo falls is still 1.3 KM away from the power plant. So we started the short trek to the waterfalls after finishing our lunch. As experienced mountaineers, it's just an easy “walk in the park” thing. Hahaha! 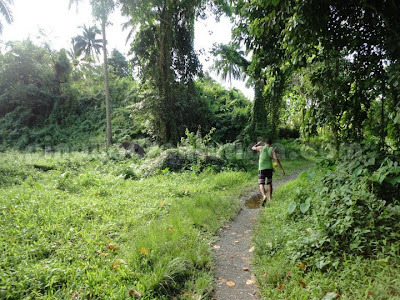 The lush vegetation welcomed us as we start the trek. There's also a river and some rock formations that needs to be crossed. The current is strong and I have to battle it as I pull myself to the other side. Small waterfalls are also a sight to behold along the way. 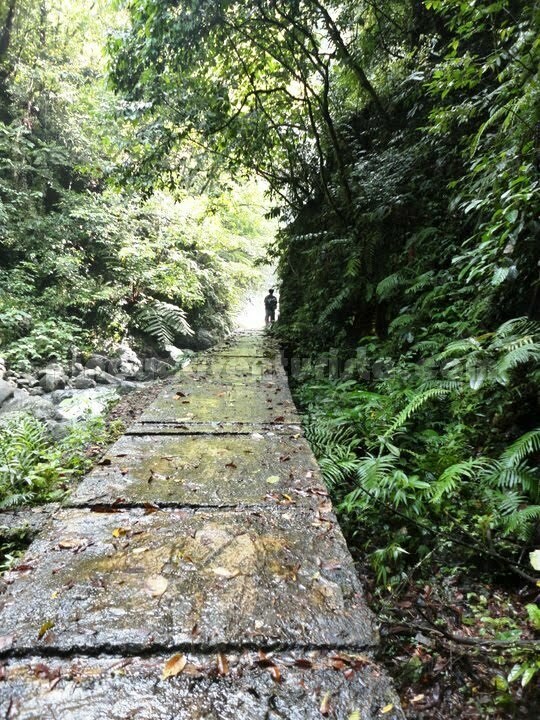 Until we reached the point where there is a concrete pathway that leads a dam and to the waterfalls. Indeed, the trek to Ditumabo falls is an added treat in itself. 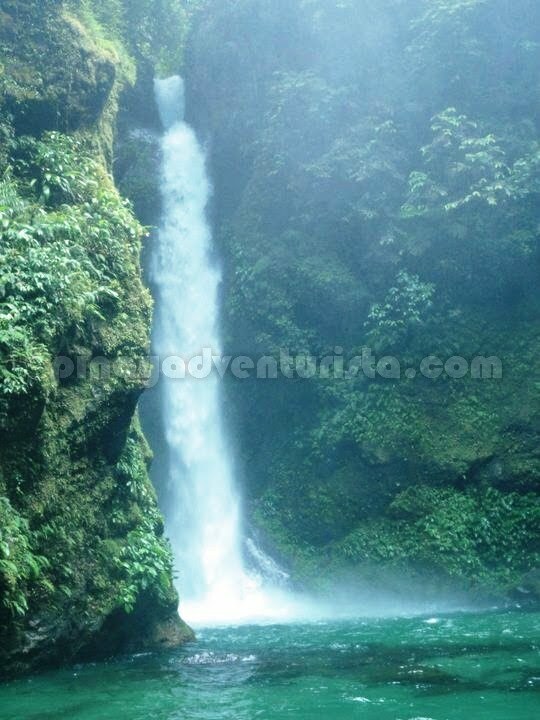 A magnificent sight of the stunning Ditumabo falls greeted our group. At a height of 140 feet, I think this is the highest waterfalls I've seen so far. You’ll feel like it’s raining around the area because of the strong current of water rushing from the top. Taking pictures is a bit hard as the splashes of water kept on ruining our cameras' lenses. Some of us savor the view and snapped on some pictures while the others took a dip and enjoyed the clear and cold water at the basin. Even with the dam constructed by the hydroelectric company, the grandeur of the Ditumabo Mother falls is still breathtaking. The wide basin and the huge imposing cliffs on both sides are superb work of nature. Truly, nature at it's best! 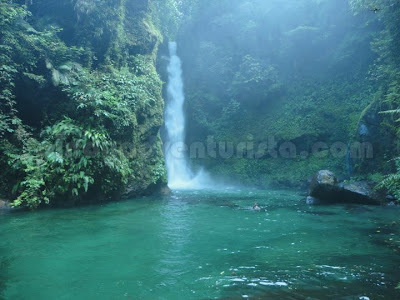 Ditumabo Falls is an enthralling sight to behold and certainly worth a visit. After a while, we decided to trek back as I am scheduled to leave for Manila at 6:00 PM (which I missed... Hahaha!). The falls look so beautiful! Did you go to Baler just for that? 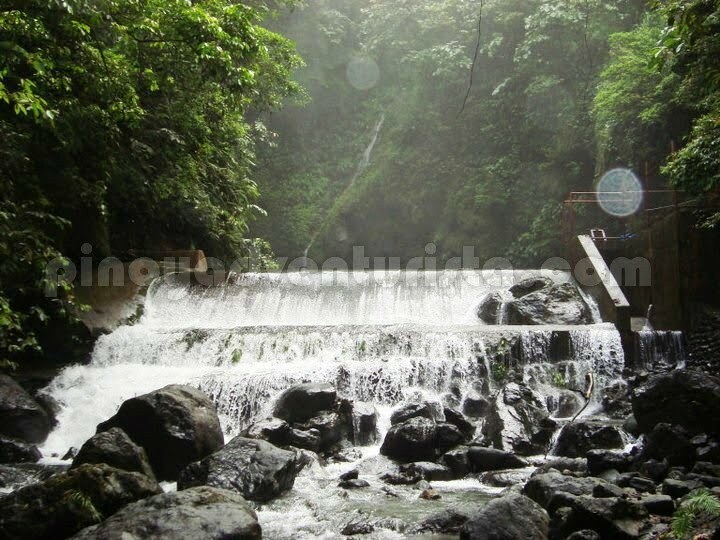 Another waterfalls to chase :) uso din pala dyan ang ensaladang paco gaya sa Banahaw. 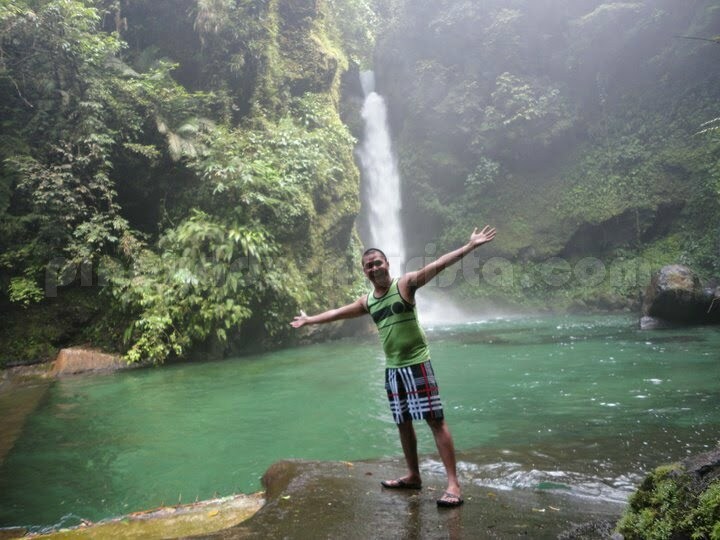 dami palang falls dyan... ganda ng picture nung Mother Falls =). 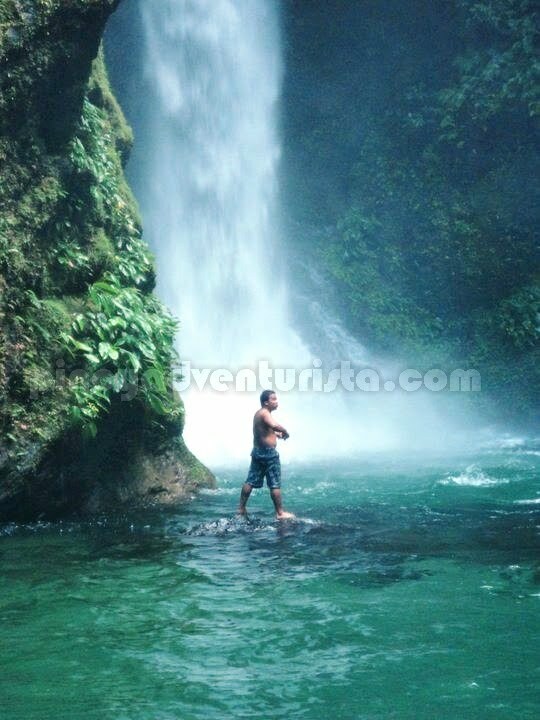 I also like the picture na parang walking on water un isang lalaki. hehe. Eto ang di namin napuntahan..another reason kung bakit kelangan bumalik ng Aurora. For non trekers, madali lang kaya yung last kilometer to the falls? 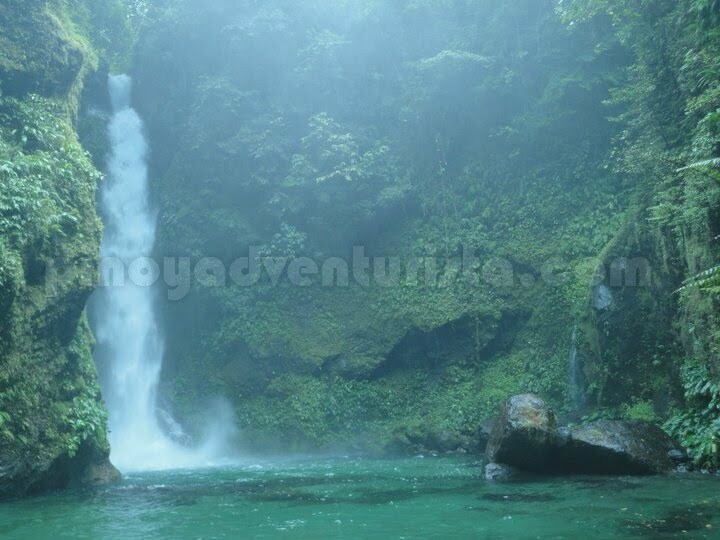 Nabasa ko kasi dati mahirap daw kaya di kami tumuloy jan nung last nag baler kami..
Aurora's Mother Falls is mesmerizing! Ganda. I remember back home we also had this falls, Tinuy-an.Because of its vastness, our town prides it as the Niagara falls of the Philippines. Being in the falls is like being one with nature. The splashes of cool water. The greenery everywhere. The rocks. The strong current. Sarap. ang linis ng tubig. kakamiss tumawid sa mga ilog at tulay. Ganda talaga ng Falls ano mervz. 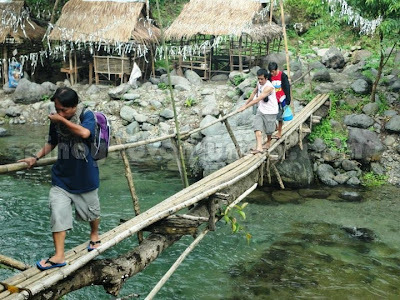 Adventure talaga sa trekking pa lang. You can feel the power of its current as it plunges down below the river stream....Ang pinaka adventure an yong emperador.....hehehe.:-). @Anonymous Ditumabo falls ang ganda mo, how i wish i could be with you again, dyan kami madals noong mga bata pa kami, si tito, tanonong, marlito, unti, eto at iba pa, marami pa kayang pilisyokin dyan?